Odessa, FL, is home to many gorgeous neighborhoods. Part of Pasco County, Florida, this small area northwest of Tampa is filled with open spaces, beautiful properties, and nature. If you’re a resident of Odessa, then you’re lucky enough to enjoy everything it has to offer. However, you’re also lucky to be able to take advantage of such a fantastic Top Rated Local® Flooring Service in the Odessa area. 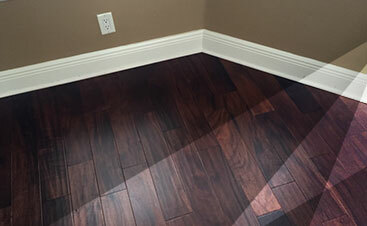 2 Day Flooring is one of the flooring services in the area that offers hardwood flooring to the homes in Odessa. From bold, beautiful hardwood flooring options to specific types of species such as Brazilian Cherry, 2 Day Flooring has it all when it comes to flooring services. One of the flooring services we offer at our company is hardwood flooring. Hardwood flooring offers your home a much more beautiful aesthetic. It’s also a gorgeous choice that’s bold and much more pronounced than other flooring choices. Hardwood flooring can be exotic, simple, or classic. However, whatever you decide to add to your home with hardwood flooring, it’ll look warm and sophisticated. Whether you’re going for a more simplistic look or one that’s more enlightened, our hardwood flooring options will add a little elegance to your home. 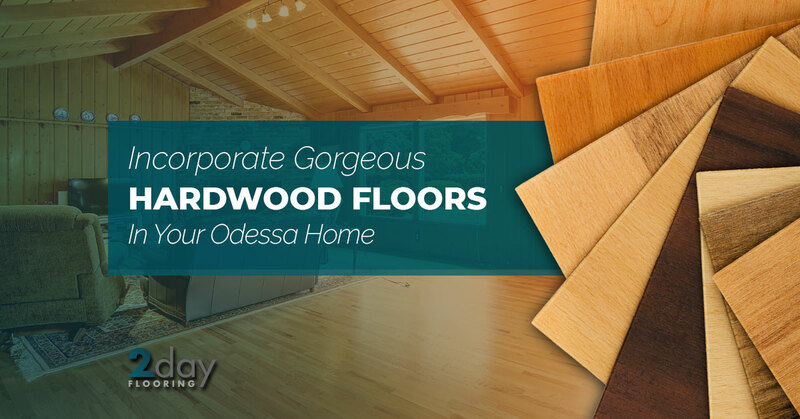 Why should you choose hardwood flooring in your Odessa house? There are so many great reasons to choose this type of flooring; however, it’s important to note that hardwood flooring isn’t for everyone. Before we get into why this is the best option, if your home has small children, animals, or you’re looking to redo the entire flooring plan of your home, then consider one of the many other flooring options we have. Now, on to why this flooring option is the best choice for your home. To start with, it’s aesthetically pleasing as there are many unique types of wood to choose from. It also looks fantastic, even in large spaces. You can choose from a variety of different styles, patterns, and colors. Finally, it is sturdy and versatile. For a more in-depth look at what hardwood flooring can offer your home, check out our services page specifically geared toward people like you who want to know everything possible about wood flooring. 2 Day Flooring is located in Tampa, but we love to service the residents of Odessa so we’ve expanded the areas in which we work. We offer several flooring services, especially since we’re a Top Rated Local®. 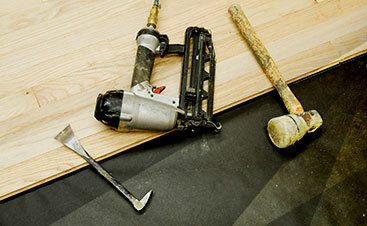 2 Day Flooring makes installing new flooring in your home easy. We strive to offer affordable flooring installation services that will make your home look beautiful. We specialize in many flooring services, so if you’re not a fan of hardwood flooring, then we can offer you many other options to make your home look like perfection. If you’re interested in learning more about our Top Rated Local® Flooring Services, then take the time to contact us about how we can help you have a floor that’s exactly like the one you dreamed.